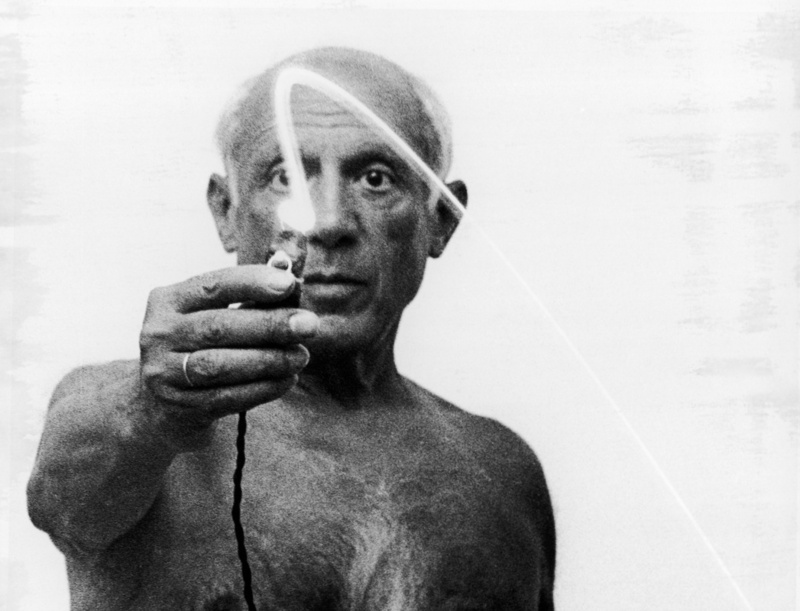 It would not be an exaggeration to say that Pablo Picasso devoted his whole life to art. He didn’t spend a single day on unnecessary education or unloved work. 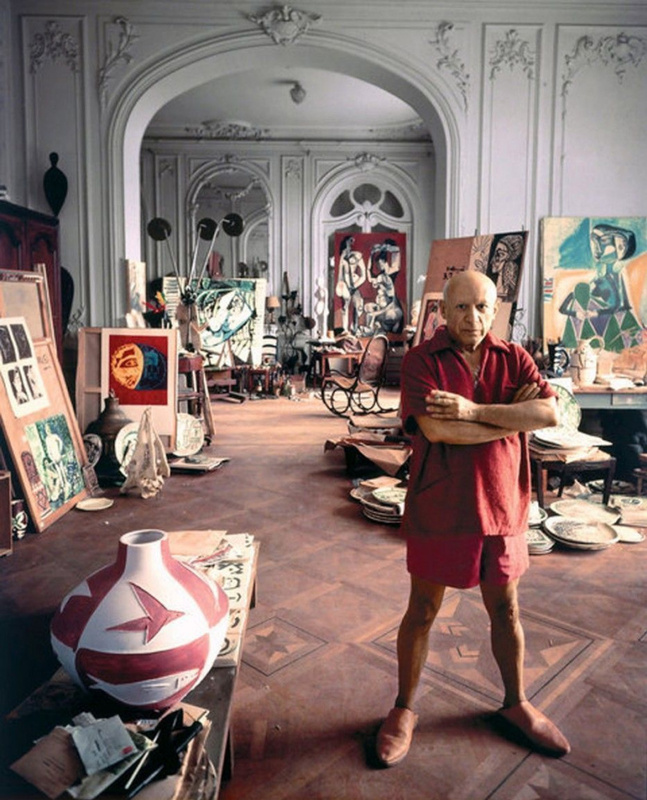 All his interests, all his thoughts and dreams related exclusively to painting. 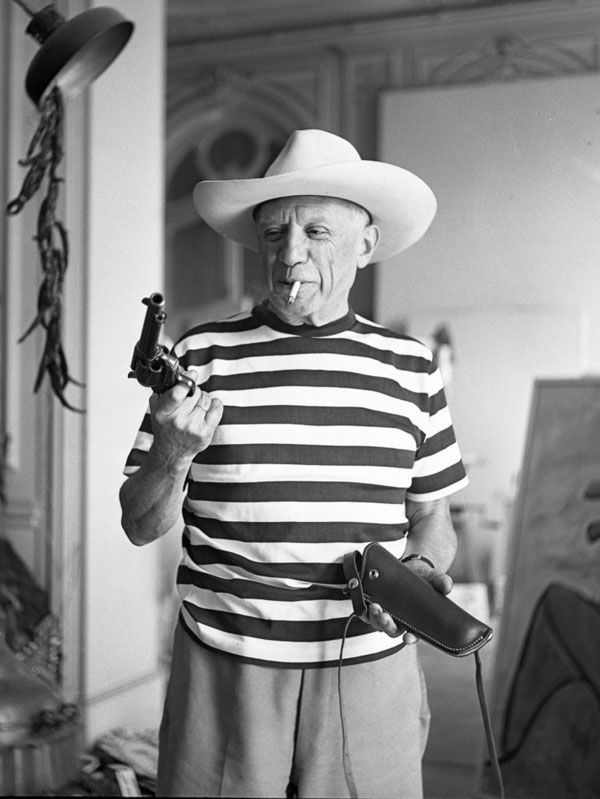 Every event in the artist's life, every person from his circle, every woman who gave him her love, were primarily sources of inspiration for Picasso. 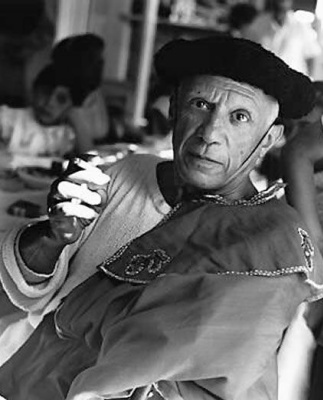 Not surprisingly, most of Picasso's conversations were about art. Every time I change wives I should burn the last one. That way I'd be rid of them. They wouldn't be around to complicate my existence. Maybe, that would bring back my youth, too. You kill the woman and you wipe out the past she represents. If I had no one to love, I'd fall in love with a doorknob. 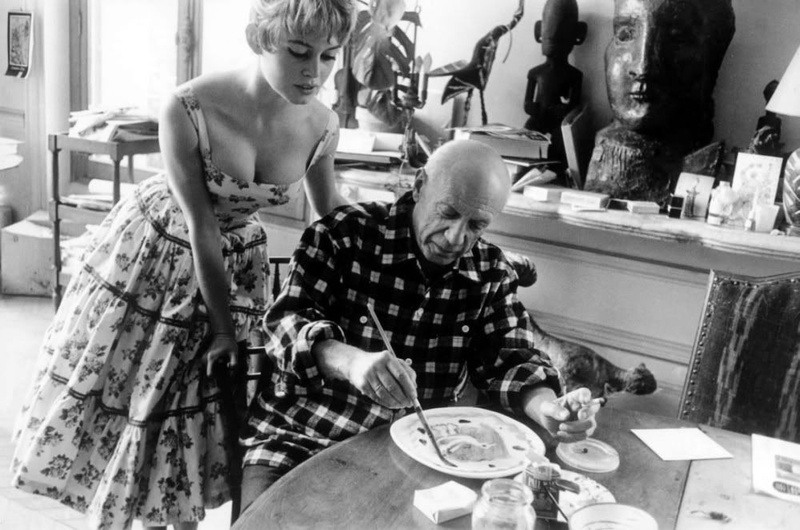 Picasso and Brigitte Bardot in the artist's Studio in Cannes, 1956. 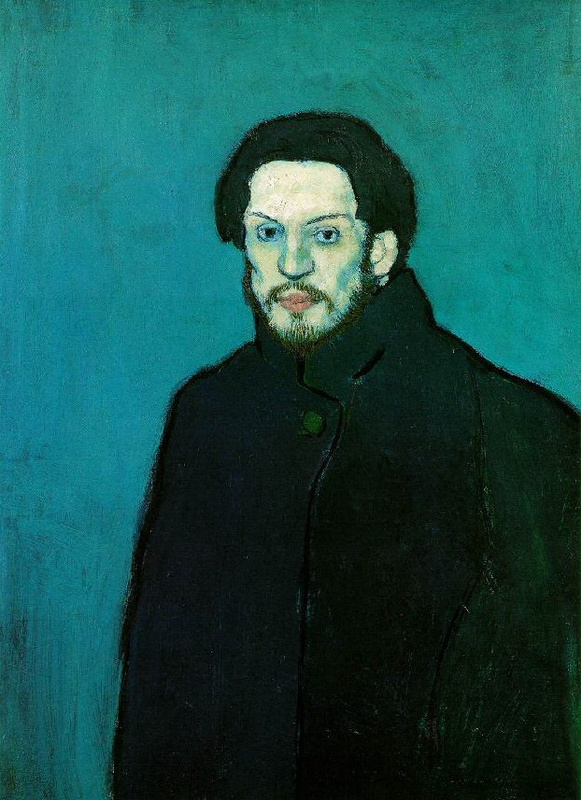 If I weren't an artist, I'd like to be a toreador. 1.2. 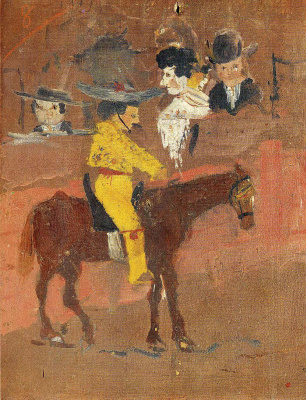 One of the earliest works by Picasso, 1889 - 1890. 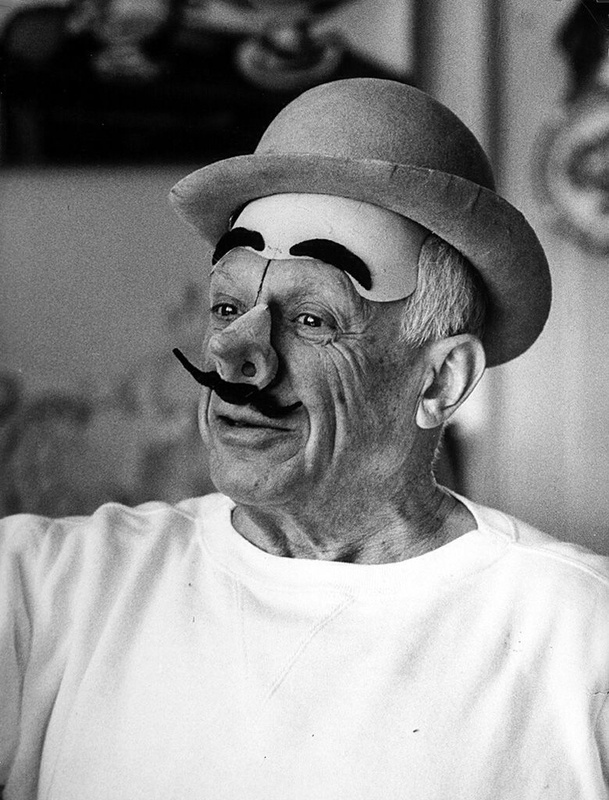 Pablo Picasso in clown's mask. 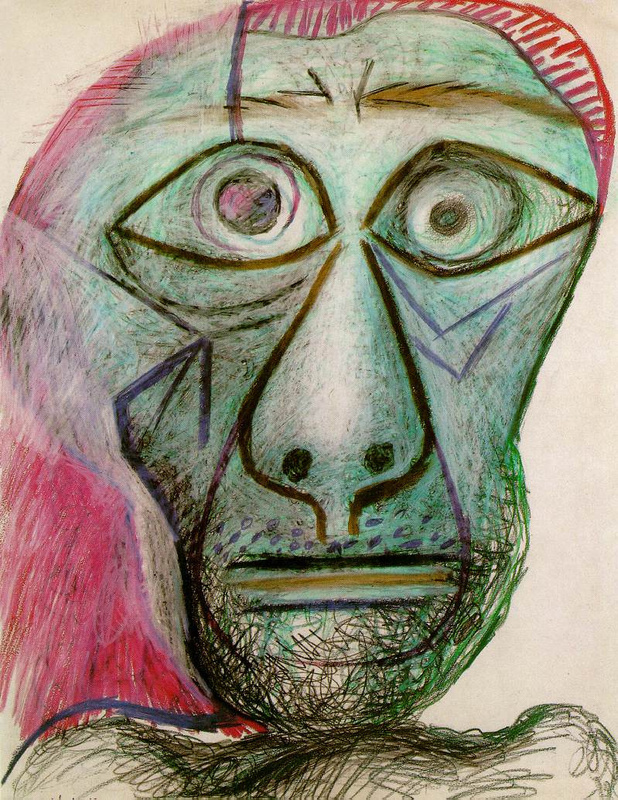 Villa California, Cannes, 1957.